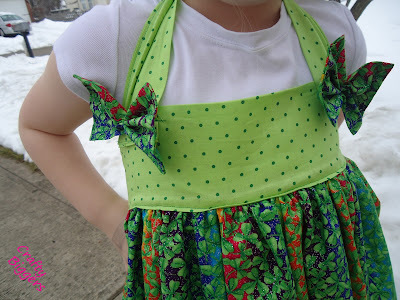 I had the opportunity to review this adorable Pinafore by Whimsy Couture. We went to the store in search of a super cute Valentine's Day/heart fabric but when we got to the store Maddie and I were both drawn to this awesome Shamrock fabric. It's glittery and rainbow colored. How can you beat that? We love the twirl factor in it. I didn't have a dress that matched to put under it so we went with a white top and leggings. It ties in the back and looks absolutely adorable in the back as well. Here's a close up of our awesome St. Patrick's Day outfit bows and all. 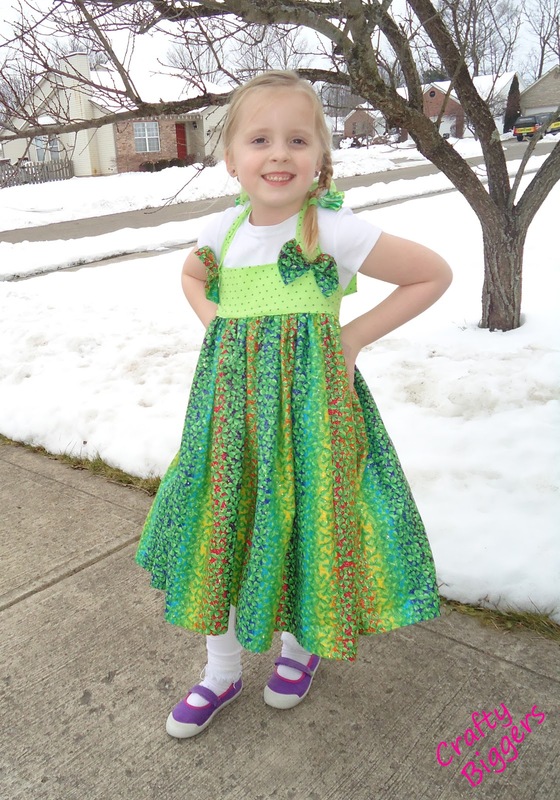 If you want all this cuteness for your little one, the pattern can be found here. Oh those big bows are ADORABLE. 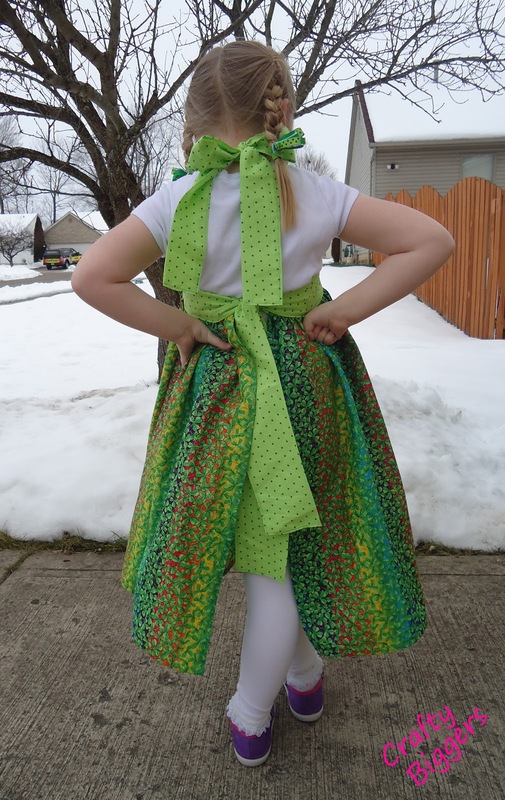 You have some serious sewing skills AND the cutest model. I have all the pieces cut to make my youngest one I just have to stop procrastinationg before St Patty's Day. Adorable! I would love you to come join my Pin Me Linky Party that starts Friday morning at 8am CST. I allow up to 3 links each week!